Japan earthquake death toll rises to 16 as fears grow for dozens missingsteemCreated with Sketch. 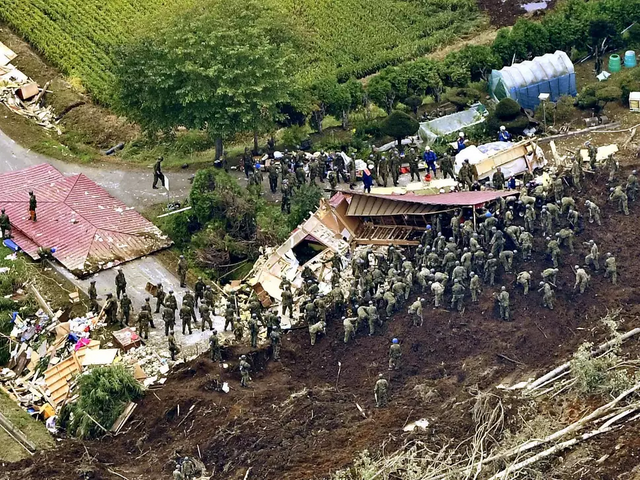 Japan said it mobilised 22,000 rescue workers to search through the night for survivors of a powerful earthquake on its northern island of Hokkaido, as the death toll rose to 16 and 26 others were listed as missing. The 6.7 magnitude quake caused scores of hillsides to collapse in landslides, devastating a small town of around 4,600 people nearest the epicentre. All 26 missing are from the Atsuma area, where many homes were either buried or swept away.